By now most people will have heard of the WordPress Gutenberg Project, coming to WordPress 5.0. According to Automattic, one of the driving forces behind the development of WordPress the worlds leading CMS, Gutenberg is a new publishing experience for WordPress. WordPress 4.9.8 is scheduled for release at the end of July, bringing with it the “Try Gutenberg” callout that will appear in all user dashboards. The new Gutenberg editor is in form of a plugin, until it is merged into the WordPress Core for version 5.0, for which currently there is no exact ETA. This plugin is under development and intended for testing and feedback purposes, allowing the core WP and the Gutenberg team to gather more data and feedback on how Gutenberg functions and interacts with users installs in the wild. You can choose to install the Gutenberg plugin and try out the new editor, but you are by no means forced to do so. If you don’t want to test it at this time, there is no further action you have to take. Whether you choose to ignore or test the Gutenberg editor, this dashboard callout stands as official notification that Gutenberg will be merged into WordPress core. There is also an option to install the Classic Editor plugin. Don’t panic, you don’t have to do this. This is just a proof for the fact that WP is going to support the classic editor, even if Gutenberg will be merged into WP core in the future. Is Gutenberg Ready To Use? The new callout box to try out Gutenberg is simply introduced to get as many users to try the new editor. It has progressed quite a bit in the last few months, which is why the WP core and the Gutenberg team decided to add this callout now. At the same time, there is a significant amount of debate regarding the desire and readiness for Gutenberg to be pushed out to the entire WordPress community. One of the most recent Git items from the WP core team is to alert users that even if using the Classic Editor, editing Gutenberg content can create havoc within the content and lead to content loss. The same stands true if you edit existing content, using the Gutenberg editor. So, there are still several compatibility issues to overcome. So, the current state of Gutenberg could be summarized as ready to test but not ready to use (on production sites). I Use A WordPress Theme, How Does This Affect Me? You can choose to ignore installing either for now. You should not edit any existing Fusion Builder generated page/post content with the Gutenberg editor and vice versa, as they are not interchangeable. We advise against testing this on a live site. What Will Happen If I Do Not Install Either Editor Plugin? In short, nothing. If you do not want to try and test the new Gutenberg editor then no further action is required right now. *This only applies whilst Gutenberg is a separate plugin. Once Gutenberg is built into the core of WordPress, you will need to install the Classic Editor plugin in order to disable Gutenberg. As a team, here at ThemeFusion HQ we are closely following the development cycle and progress of Gutenberg. As has and always will be the case, we are dedicated to delivering the best working experience to everyone who uses our product, with any new version of WordPress and/or for the release of Gutenberg. 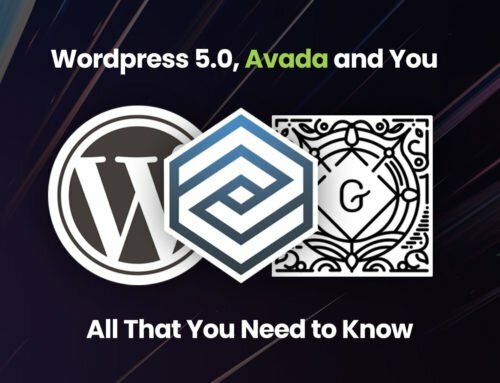 We will also be releasing up to the minute documentation for anything that Avada users need to be aware of for anything Gutenberg. It is difficult to make predictions about Gutenberg specifically, far too much of it is still unclear, not implemented or not even discussed with the wider WordPress community contributing to the project. Just need further clarity. With 5.0 the “new editor will be enabled by default in the next major release of WordPress” according to the call out. I interpret this to mean that they will not force Gutenberg on us (yet) and Classic will remain, at least in this version. They’re not exactly saying Classic will always be around for users who don’t ever want to use Gutenberg or are using themes that may never be able to seamlessly convert content to Gutenberg. Hi @whuang99. Yes, the Classic editor will be available to activate instead for the foreseeable future. Exactly how long that will be is anyone’s guess, the Gutenberg team are not very clear in terms of their overall plans/roadmap. As for us and our team, we are monitoring this all very closely to ensure that we stay ahead of the curve as we always have when it comes to WordPress and the wider industry. Thank you for your updates and commitment to your users. Your updates in regards to Gutenberg have brought a lot of peace knowing that you are on top of this massive change. As a business owner who’s company lives and dies off of wordpress development. I know that I’m in good hands with the themefusion team! You guys rock! I use Avada on client builds and have for years – thus have been navigated thru numerous changes by ThemeFusion and have no reason to worry about this upcoming change. Thanks again for all the dedication, as there is much value packed into Avada and I, for one, have never regretted the choice to rely on it. Unless I’m missing something obvious, there’s no way to use Fusion Builder for pages, if Gutenberg is active? 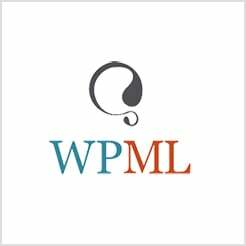 The WP 5.0 is just around the corner. I am in no hurry to update but I have to ask, how things are going in the relationship with Avada and Gutenberg? Are things looking rosy or is there a storm coming up in the horizon? Hey! If you have already updated to Avada 5.7.2, you are good to update to WP 5.0 once it is released and will be able to work with Avada and Fusion Builder just like you are used to. There is no special recommendation from us to update to WP 5.0, because a lot of people in the community expect that WP 5.0.1 won’t be far off. So, it might be more convenient to wait. Also, moving forward, we’ll always make sure that you can work with Avada in the same smooth way that you are used to.